Special crystal sugar like Confectioner sugar ,Amorphous sugars Etc. 1 Special crystal sugar like Confectioner sugar ,Amorphous sugars Etc. Specialty sugars are value added sugar products. These value-added sugar products provide useful specific functionality that let themselves as the major building blocks to new product development in the demanding fabricated food area. It is also called as special crystal sugar or special sugars or specialty sugar products. Several specialty sugars product prepared by either the physical milling blending or agglomeration methods to incorporate secondary ingredients by the cocrystallization process. Powdered or pulverized or icing or confectioner’s sugars are made with various degrees of fineness resulting from grinding granulated in specially designed mills, generally hammer type revolving at 3500rpm. It’s grain size having generally less than 100 microns. No crystal should exceed 160micron. The mean crystal diameter 40 to 50micron. Because of the great mechanical stress to which it is subjected, sugar is heated up during milling, reaching temperatures of more than 500C . Due to changes of temperatures it absorbs moisture from the milling air. According to estimates, some 2% of the sugar is in an amorphous state after milling. To obtain a good distribution of the anti-caking agents (Starch or tricalcium phosphates) in the powdered sugar, the agent is added to the crystal sugar before milling. This addition is carried out proportionally to the mass of the sugar flow before the sugar falls into the mill via the dosing feed conveyors/screw. The function of the anti-caking agent is to absorb the moisture when power is exposed to humid air and to reduce the direct contact of fine sugar crystals. For powdered sugar sold without additives such as starch or tricalcium phosphate agglomeration problem is severe. Powdered sugar designed at 6X, 10X or 12X containing starch to preventing the caking. Cube and loaf sugar is now made almost exclusively by pressing moistened, fine crystalline sugar into geometrical shapes (cubes, loaves) followed by drying. Loaf sugar is popular in some African countries and Middle East. some of the many cube sugars derives their name from the inventor of the process or the equipment used in the process like Adant cube , Vibro cube etc. 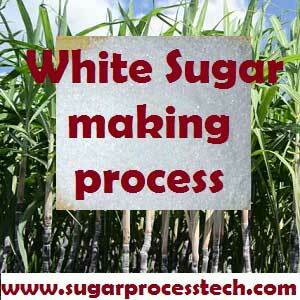 Types of process for cube sugar manufacturing. Loaf sugar can be made by casting or pressing. Whereas formerly almost all sugar loaves were produced manually or in centrifuges. For loaf sugar production, sugar with crystal size of up to 1.0mm is first moistened with water in a mixer and then fed into units of six loaf-shaped chambers, into which the sugar pneumatically pressed from below. Drying must processed with great care to avoid stresses and the attendant formation of cracks in the loaf. The broken material accumulated in cube sugar manufacture is used to produce nib sugar. The breakages is usually crushed in a combination machine and screened by the desired grain size. Nib sugar is sized by cylindrical screens. Nib sugar supplied by the following grain sizes. 1.6-2.5mm, 2.5-4mm, 4-5.6mm, 5.6-8mm, 10-16mm. In another process, humidified sugar is granulated, hardened and crushed in a special apparatus. Here much higher nib sugar yields are obtained. In this case cube sugar as raw material for nib sugar. Candy crystals are coarse grained sugar (edge lengths of 3 to 30mm) of only regional significance. 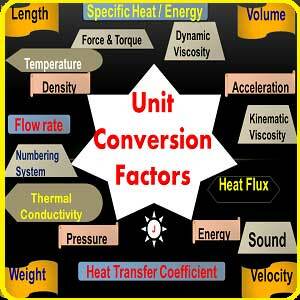 Candy crystals are manufacturing in two stages by cooling crystallization. The starting point for white candy crystals is a very pure melt liquior which is concentrated to dry substance content of 80% and feed at a temperature of 90 to 950C, into vessels holding 10 to 30 M3. Slow cooling under total repose leads to crystallization on these metal sheets. Rock candy is made, in the home or commercially, by pouring a hot, saturated solution of refined sugar into a tank containing a network of fine strings. As the solution slowly cools over a 7days of period, the sugar crystallizes on the strings and the sides and bottom of the tank. The crystal vary in size, some being more than 2cm long. Fondant is a mixture of very fine sugar crystals of size below 44micron surrounded by a saturated solution of sweetener components. The composition is largely sucrose, with the remainder being invert sugar and corn syrup. The mixture is used to prepare a base for smooth confections and icings. Fondant has been used in the food, baking, and confectionary industries for a long time. Several dry fondant sugar products, developed by either the Co crystallization process or co-milling technology (micro pulverization), are available in market today. The product manufacturing by Domino Sugar Corporation is made by the cocrystallization process. The composition of this product is 95% sucrose and 5% invert sugar on a dry weight basis. The product is actually a microsized agglomerated with a crystal size less than 40 micron, and as excellent fondant and extrusion quality. This product is manufactured from selected sugar blended with low DE cereal solids. The composition of this product is 97.5% sucrose, 2.5%low DE cereal solids and 0.5% moisture, and granulation is 99% through U.S No. 325. The fondant candies can be prepared by the cold process simply mixing this fondant sugar with liquids. In the baking industry, fondant is used as a basis for all high-quality frosting, glazes, and icings. The baker uses fondant sugar to eliminate all perception of grittiness normally associated with confectioner-grade sugar. The grittiness in confectioner’s sugar is due to the large particle size, greater than 44micron. 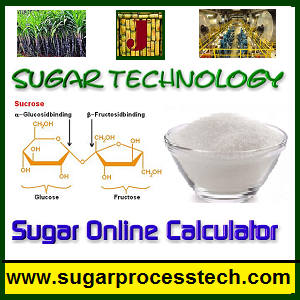 It is commonly accepted that sugar smaller than 44micron in size is considered as icing sugar. This icing sugar is prepared by co-milling a sugar with a low-DE cereal solid. The composition of this product is 89% sugar and low-DE cereal solids. The particle size is 99% through U.S. No. 200 and 98%through U.S No. 325. Amorphous meaning “without shape.” It is really a microcrystalline or fondant sugar so it is dissolves easily. In amorphous sugar production, 100% yield is achieved with no centrifugal separation of syrup. The very low color liquor is concentrated in an open pan under atmospheric pressure to a brix of over 92. The syrup is discharged into a beater with arms rotating at 35 to 40 rpm and is transformed into a mass of agglomerated grains with about 2% moisture at 98 to 1000C. It is then dried and cooled by a drum-type drier to a moisture content of 0.1% and about 50 to 550C Since there is no separation of mother liquor (syrup). The product having a polarization of only about 99.5, ash of 0.08 to 0.15%, and invert 0.05 to 025%. Brown sugar, its different making methods and also given its classification and specifications of different grades of brown sugar. And finally compare the white and brown sugars. Refined sugar | Refined sugar making process, and refined sugar specifications. Myself K N Bora, may you kindly provide process detail for making Golden Yellow Sugar. Please inform your terms for furnishing above detail.